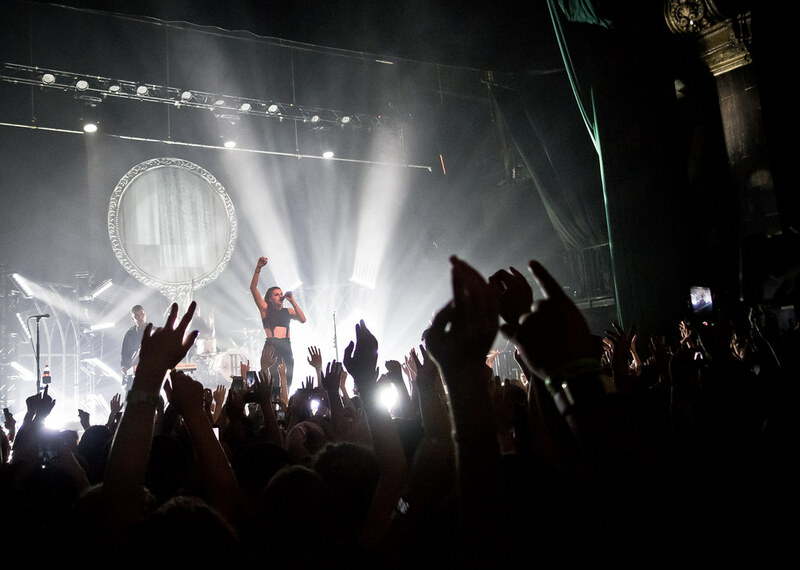 PVRIS are quickly becoming the biggest thing in rock. Friday night, the Massachusetts trio, led by lead singer Lynn Gunn, guitarist Alex Babinski and bassist Brian MacDonald took their first every headlining tour to a sold out Fonda Theatre where they performed for over an hour, singing songs off their debut album White Noise. The group was recently spotlighted on Buzzfeed's “28 Underrated Musical Artists You Should Be Listening To Right Now,” while hitting the top of Billboard's "Emerging Artists Chart" with their video for "White Noise." Fans flocked to the venue hours ahead of time with lines forming around the block. 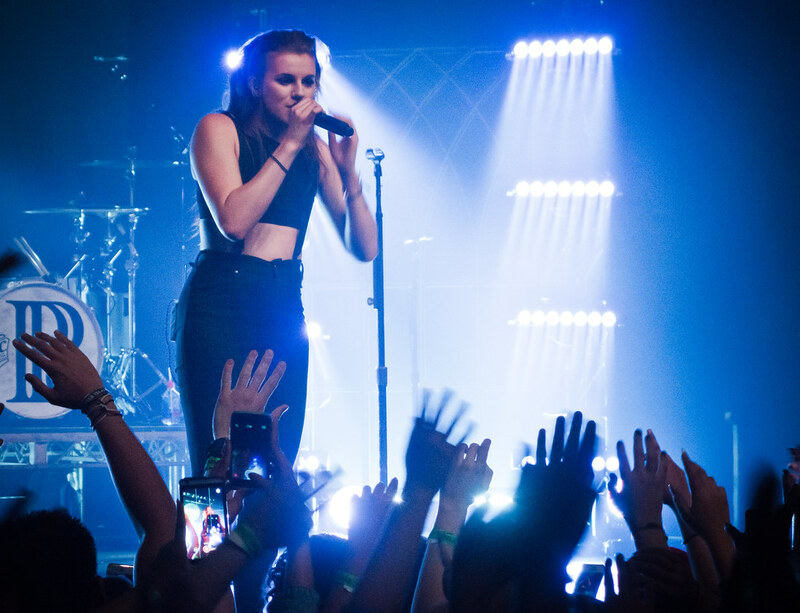 Touring heavily this past year PVRIS played Warped Tour and opened up for Fall Out Boy. But this current tour marks their first headlining tour, hitting 23 cities in two months which ends in their home state on June 10th. The band is certainly living up to the hype: they recently hit No. 1 on Billboard’s “Emerging Artists Chart” with their new video, “White Noise,” which premiered on Nylon and was directed by Raul Gonzo (Thom Yorke).